i feel that primer is one of those basics that people skip out on - i admit i was one of them! but, trust me it makes a world of a difference, at least with this one. what i love about this primer is #1 that it contains natural ingredients #2 that it's silicone free #3 it smells good - all pretty hard to find in a primer, if you ask me. this one is super light, moisturizing and does wonders to make an even toned skin. there are 3 different types you can choose from depending on your skin type: regular primer, mattifying (perfect if you have oily skin), age reversing. definitely a must must must basic! i find it hard to find a bb cream that matches my skin tone. but, the bobbi brown comes in 9 shades, so you're in good hands!! i love the texture of this bb cream. it's creamy, so it goes on smoothly and is lightweight, but totally buildable if you need the coverage. 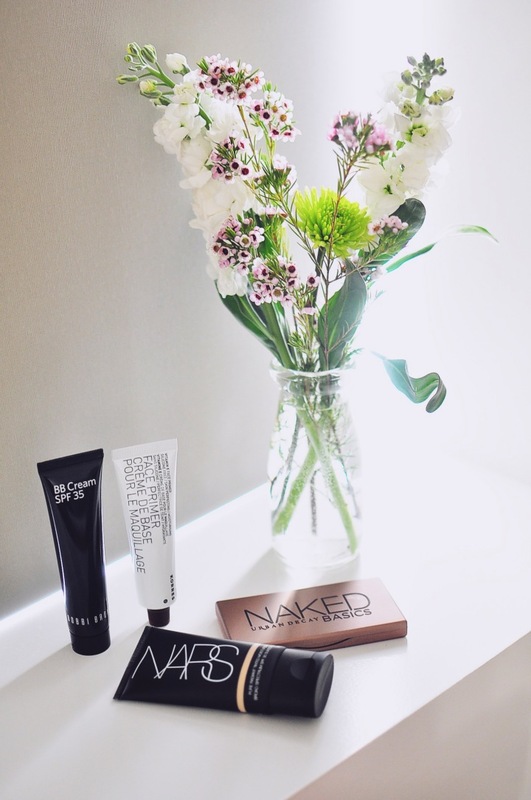 this bb cream does everything you need it to do! it's magic in a bottle - it primes, moisturizes, protects you from the sun (spf 35), camouflages and hydrates. it's perfect for the summertime. for the summertime this is a great substitute for foundation. it has a bit more coverage than your normal tinted moisturizer, but it feels light. so this is perfect for those who like more of a natural medium coverage. if you want more of a full coverage it's totally buildable. i've only been using this for a couple weeks, but still have yet to see improvement (only been using it for a week now), but by week 4 you're supposed to see overall improvement in your skin. another bonus is the spf 30 which is really important for summer. not too shabby for a tinted moisturizer, right?! the name of this shadow palette pretty much says it all. this palette has the basic ivories, taupes, browns and black. the shadows are pretty flat in color which i like to create a natural look with. 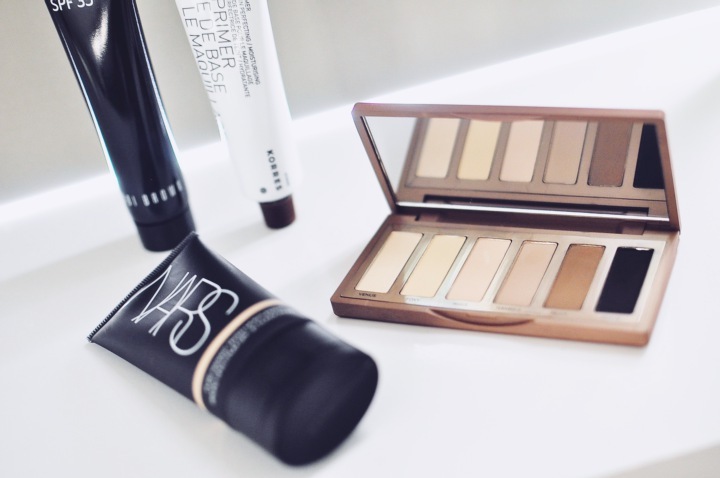 it's perfect for an everyday eye makeup look. it's also compact enough and is the perfect size to carry around your purse or travel with. yea...i do have all 3 naked palettes. this one is a great basic, so i would have to say that i like it better than the other 2. plus, the basic i love cuz i can use it for day and night. I love the lighting in your house! Would you use all 3 products at one time? ooh on the search for a new bb creme. do u use it as a base or as makeup? xO! 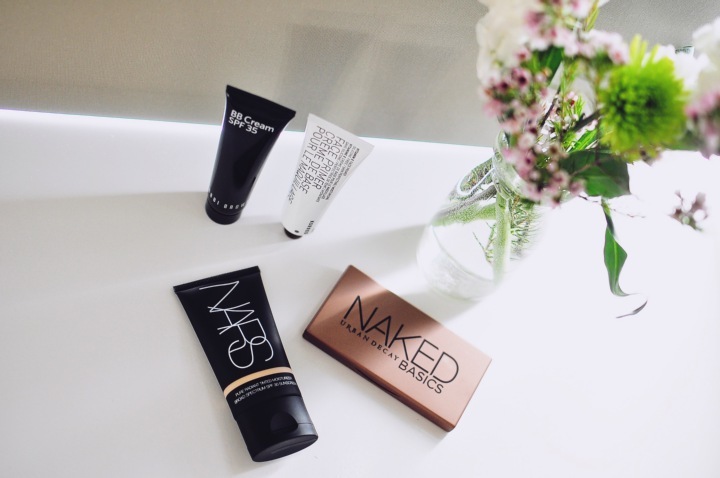 I want to try that primer - BIG fan of Korres, and brilliant idea from Urban Decay to put the Naked 'basics' together in a smaller palette! This one is definitely on my shopping list.